Alabama, Georgia, Illinois, Mississippi, North Carolina, South Carolina, Tennessee, and Virginia. The 2018 Powder Springs, Georgia, Regional will be held Oct. 27 at McEachern High School. In 2017, Harrison won the early-season competition, but with the event being pushed back over a month this year, we could see a completely different line up of competing groups. This regional will feature two groups that have already been crowned regional champions earlier this year: Wando and Harrison. Wando will be making the trip down to Georgia after winning the regional in Gaffney, South Carolina, over tough competition from Dobyns-Bennett. Harrison has had an impressive season thus far winning the regional in Jacksonville, Alabama, and placing third in Orlando. Between these top groups, we believe Wando will take home the win in Powder Springs. Wando performs at the Gaffney Regional on Oct. 13, 2018, at Gaffney High School. // Photo by Jenny Gill, courtesy of Wando Band Boosters. There are a few other bands that could compete for a medal. Kennesaw Mountain placed second at Jacksonville behind Harrison. They are in a great place right now for a strong performance in preparation for their Grand Nationals trip in a couple weeks. Milton is another Georgia group that could surprise people this year. They have a strong program that could compete for a spot in the top half of finals. The other potential medalist is James F. Byrnes from South Carolina. Byrnes surpassed our predictions at the Gaffney regional by claiming third place behind two prior Grand National finalists. They could prove themselves once again in Powder Springs. Clinton from MS is aiming to make their third regional finals of the 2018 season. They have placed fifth at both the Clarksville and Jacksonville regionals this year. The competition at this regional looks to be a bit more difficult, and we think they will finish just outside of the top half of finals. After the top six groups, the field is wide open. We’ve identified nine potential finalists fighting for the last four spots. Mill Creek is a consistent finalist at southeastern regionals and we think this show will be no different. Prospect is a good band making the trip down from Illinois that has a shot at finals. Last year, they placed ninth in finals at the St. Louis Super Regional. Bassett is a consistent finalist from the east coast regionals and recently placed sixth at the Gaffney Regional. There are four other groups worth considering for finals: Hoover, Hillgrove, DeSoto Central, and Pelham. 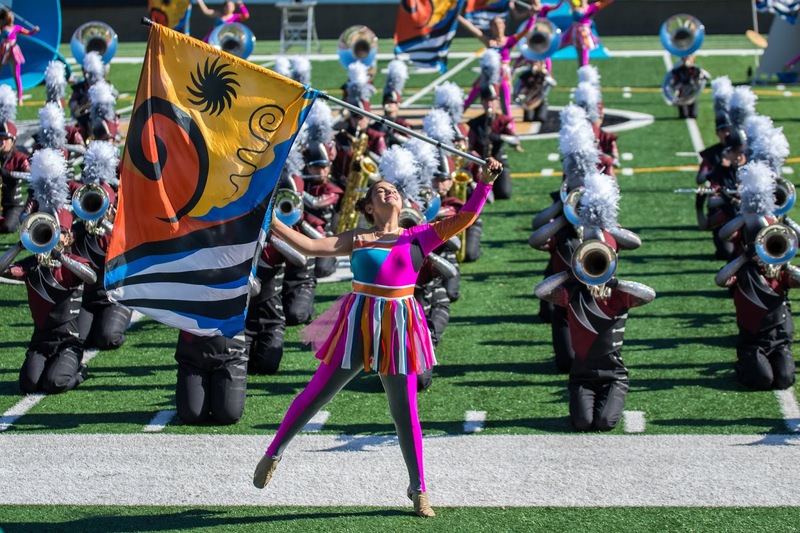 All four of these bands made finals at the 2018 Jacksonville regional. This group will be particularly interesting because they all finished within one point of each other. Fast forward a few weeks and we will see who has been able to clean and polish their program the most. You also can’t count out returning finalists McEachern and Jackson County. While this year’s regional has become more competitive after being moved later in the season, these are two strong groups that we really haven’t seen compete late in the season before. Music: Michael McIntosh, John Meehan, David Orser, and Clif Smith. Visual: Ken Giese, Neal Smith, and Mike Tarr. What a lineup. Looking at the prelims schedule, every band from Mill Creek to the end of the afternoon block has at least a shot at finals. That's 14 bands, and that doesn't even include Milton and Clinton, who will almost definitely finish in the top ten, and McEachern and River Ridge, who could sneak in with a solid run. Just performing twice at this regional will be an achievement. Should be an exciting event, to say the least. This place was amazing! Great food, it's smaller than others I guess but it is still a fair sized fun. The decor at this venue was amazing as every note of music reverberates off the beautiful walls. Everything about these Los Angeles venues was nothing less than 5 stars.